Third Thursday Demo - THIS COMING THURSDAY! Our regular monthly demo features the new Eleanor Burns 2 1/2 inch strip Wonky Ruler which makes very fun and wonky log cabin blocks. Cyndi Foote will give a brief presentation on the history of the traditional log cabin block and then demonstrate how to turn traditional into unconventional. 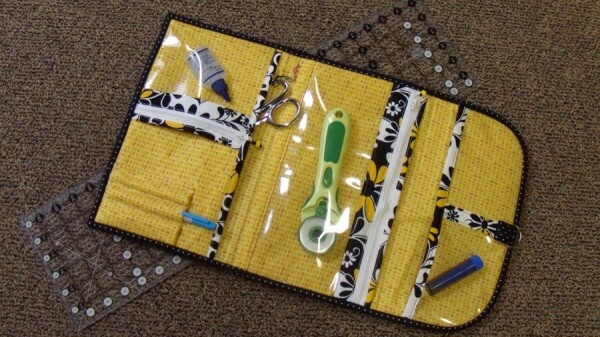 A finished sample quilt that Cyndi made using this ruler will also be on display. Third Thursday demos are always free. Bring a friend! Quilt ‘Til You Wilt – Friday, April 25, 5 p.m. – 10 p.m. 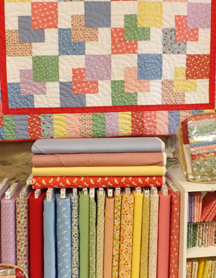 Relax at the end of the week with an evening of sewing and fun with old and new friends. Cyndi and Beth will host this fun event. It’s free, but space is limited so call today to get your name on the list. Bring a brown bag dinner or order something from one of the wonderful nearby restaurants. Beverages are provided. Space limited to 16. This class was a huge hit in February and guest teacher Cadette Denbo has agreed to teach it again. Learn a fun fabric weaving technique to make place mats or a table runner, then use your new-found skill to make a quilt in any size. No piecing is required! Use 2 ½ inch strips (a jelly roll is easiest and provides the most fabric variety) and then quilt using a decorative stitch. Make one and you’ll be hooked! If you don't like lugging your big sewing machine to class or you'd like to experiment with a BERNINA for a day, we now have classroom machines available to rent. The cost is only $10/day! First come, first served. Let us know when you sign up and pay for your class if you'd like to use a BERNINA 550 or 560 machine. 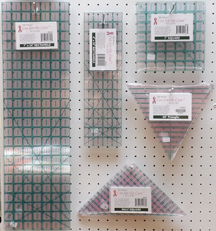 We now have Kaye England's Cut for the Cure rulers in stock. If these prove to be popular, we'll get in the full collection of her rulers (and we're happy to special order any that you need in the meantime). The advantage of these rulers is that they are designed so you can easily see your fabric through small round "windows" in the rulers for precise cutting and the 1/2 and 1/4 inch marks are different colors. Some of our customers won't use anything else. Not to worry, we continue to carry the full line of Creative Grids rulers as well! We just received a beautiful Civil War reproduction collection . . . . 24 bolts total. Here are a few of them. Stop in to see the full array of choices. What's left of the last collection we had is now in the clearance area. Check out both! We also carry a nice selection of 30s fabric. 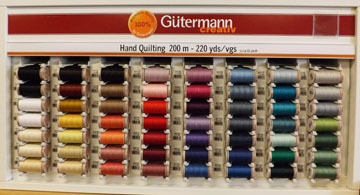 And we have Gutterman hand quilting thread in 50 colors. We have it! Quilter's Dream batting comes in many sizes, lofts, and is available in cotton, poly, blends,and wool. 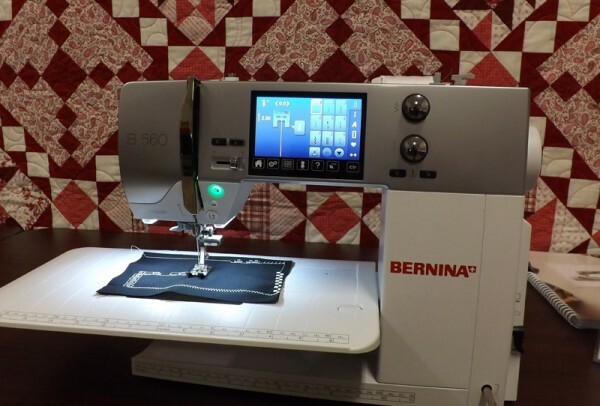 We now have the BERNINA 820 on display. This is a GREAT machine for quilters who want 12 inches to the right of their needle to work on large projects, but who don't plan on doing embroidery (for that the 880 is the dream machine). 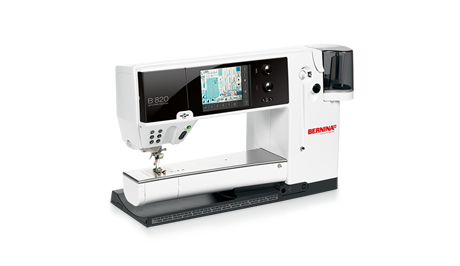 The 820 comes with the BERNINA stitch regulator, sews 1100 stitches per minute, has a fully automatic needle threader, and comes with the jumbo bobbin that holds 80% more thread than a standard bobbin. Come by for a demo today. Be sure to ask us about 0% financing through GE Capital. 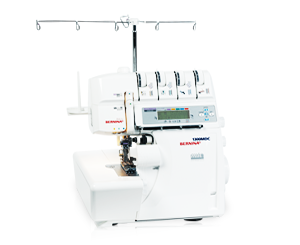 We also have the BERNINA 1300 MDC serger/overlock in stock. The patented micro thread control system is a technical highlight that permits precise adjustment of the over-edge thread length at the simple turn of the control dial. It also features a swing-out upper-knife arm for more space, automatic safety switch, and LCD screen for ease of use. Love a bargain? All of our fleece is now $5 per yard!